Counterbalance putters feature heavy grips and head weights for forgiveness. Wilson Staff has re-energised its Infinite putter range with six new models for 2018. Three mallets and three blades feature, named after neighbourhoods in the brand’s home in Chicago - Windy City, Lake Shore, Michigan Ave, Grant Park, South Side and The Bean. The putters make the most of counterbalance technology, featuring heavier grips (104g) and head weights, moving the balance point closer to the hands, promoting a smooth stroke and forgiveness. The grips are also oversized, to reduce twisting through the stroke. The centre-shafted South Side product has been used by three-time major champion Padraig Harrington for the past three seasons. “The Infinite putter range is now very much an established part of the Wilson Staff brand that features Tour winning technology,” said Global Commercial Director, Doug Wright. “The new range has a standout design based on feedback from our Wilson Advisory Staff members which really catches the eye from the grip, all the way to the finer details on the head,” he added. 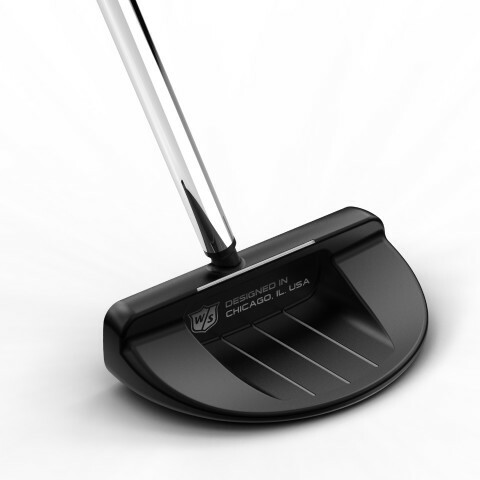 The putters have an anti-glare black finish, and Wilson’s Double-Milled face for a consistent roll and feel.